William Foxwell Albright (May 24, 1891 – September 19, 1971) was an American archaeologist, known as a key figure of the twentieth century biblical archaeology movement. A noted biblical scholar, historian, linguist and expert in ancient ceramics, Albright obtained his doctorate in Semitic languages at Johns Hopkins University and later became a fellow at the American School of Oriental Research in Jerusalem. He conducted and participated in important excavations at Gibeah, Kirjath-Sepher, Beth-zur, Bethel, and Petra, winning popular fame for his work in authenticating the Dead Sea Scrolls in 1948. Albright emphasized the value of studying geography, ceramics, and ancient languages for a better understanding of biblical history. Although he accepted the principles of biblical criticism, he believed that archaeology confirmed the historicity of the major biblical figures and events. Albright was a prolific author who wrote several seminal books on the history and archaeology of ancient Israel. He was universally acknowledged as the dean of the biblical archaeology movement. His student George Ernest Wright followed him in that capacity. Others of his students, such as Frank Moore Cross and David Noel Freedman, became noted leaders in the study of the Bible and the ancient Middle East. Although Albright is, thus, assured of a major place in the history of the development of Near Eastern archaeology, some of his methods and attitudes lately have come under criticism. Tumulus 2 in Jerusalem, excavated by W.F. Albright in 1923. His excavation trench is still visible at the top of the structure. Albright was born in Coquimbo, Chile to American evangelical Methodist missionaries Wilbur Finley and Zephine Viola Foxwell Albright. The eldest of six children, he moved with his family to the United States in 1903 and received his Ph.D. from Johns Hopkins University in Baltimore in 1916. He married Dr. Ruth Norton in 1921, with whom he had four sons. Albright became a fellow at the American School of Oriental Research in Jerusalem, where he served as director from 1922-1929 and 1933-1936. He conducted important archaeological work at such sites in Palestine as Gibeah (Tell el-Fûl, 1922) and Tell Beit Mirsim (1933-1936). He was also involved in important digs at Beth-Zur, Bethel, Petra, and other locations. Albright made his scholarly reputation as the leading theorist and practitioner of biblical archaeology, defined as the branch of archaeology that sheds light upon "the social and political structure, the religious concepts and practices and other human activities and relationships that are found in the Bible or pertain to peoples mentioned in the Bible." Prior to Alright's work, scholars tended to avoid critically appraising the Bible in relationship to archaeology, tending to accept biblical dates with little question. In 1932 Albright published his excavations of Tell Bir Mirsim in the Annual of the American Schools of Oriental Research. This and his further descriptions of the Bronze Age and Iron Age layers of the site in 1938 and 1943 are considered to represent milestones in the science of professionally dating of sites based on ceramic typologies. Albright's techniques in this respect are still largely in use today with only minor changes. "With this work," remarks one critic, "Albright made Palestinian archaeology into a science, instead of what it had formerly been: A digging in which the details are more or less well-described in an indifferent chronological framework which is as general as possible and often wildly wrong." In 1940, Alright published perhaps his most important work, From the Stone Age to Christianity: Monotheism and the Historical Process, which analyzed the Bible in historical and geographic context in light of his archaeological, linguistic, and literary research. In 1948, he became famous among the general public for his role in the authentication of the Dead Sea Scrolls. As editor of the Bulletin of the American Schools of Oriental Research between 1931 and 1968, Albright exercised deep influence over both biblical scholarship and Palestinian archaeology, an influence further extended by his prolific writing and publishing (over 1,100 books and articles). Despite his focus on the archaeology of the Bible, Albright was not a biblical literalist. He accepted the basic idea of the documentary hypothesis and the mainstream opinions of the preceding two centuries of biblical criticism: Namely, that many of the books of the Hebrew Bible are comprised of various literary sources, each with its own theological view and agenda. In Yahweh and the Gods of Canaan, he expressed the view that the religion of the Israelites had evolved out of Canaanite polytheism into the biblical monotheism that saw God acting in history through the Jews as His "chosen people." However, unlike some other bible scholars and archaeologists, Albright held that archaeology confirmed the basic historicity of the Bible. In this, Albright's American Evangelical upbringing was clearly apparent. He insisted that "as a whole, the picture in Genesis is historical, and there is no reason to doubt the general accuracy of the biographical details" (Finkelstein, 2007, 42). Similarly, he claimed that archaeology had proved the essential historicity of the book of Exodus, and the conquest of Canaan as described in the book of Joshua and the book of Judges. Although primarily a biblical archaeologist, Albright also made contributions in many other fields of Near Eastern studies. For example, his his work on the Mari letters helped established an accurate date for Hammurabi, and a paper titled, "New Light from Egypt on the Chronology and History of Israel and Judah," established that Shoshenq I—the Biblical Shishak—came to power somewhere between 945 and 940 B.C.E. His work also laid the foundation for the understanding of ancient West Semitic culture in general, including the study of Canaanite religion as distinct from biblical literature. Throughout his life Albright was honored by Jews and Christians alike with numerous awards, honorary doctorates, and medals. After his death, his legacy continued as a large number of scholars, inspired by his work, became specialists in the areas Albright had pioneered. However, the biblical archaeology movement that Albright helped to spawn has also met with strong criticism on the ground that, while looking for confirmation of biblical events, biblical archaeologists failed to give adequate consideration to alternate theories, concentrated on Judeo-Christian culture to the exclusion of Canaanite and Muslim peoples, and did not keep pace with scientific advances. 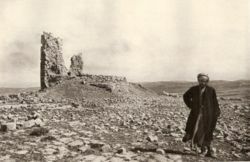 The American archaeologist William Dever, for example, claims that Syro-Palestinian archaeology in American institutions has been treated essentially as a subdiscipline of biblical studies. Today, claims Dever, Albright's "central theses (regarding the historicity of the Bible) have all been overturned, partly by further advances in biblical criticism, but mostly by the continuing archaeological research of younger Americans and Israelis to whom he himself gave encouragement and momentum…"
Despite such criticism, Albright retains a high degree of respect, even among those who criticize some of his methods. The American Schools of Oriental Research is now known as the Albright Institute of Archaeological Research, in honor of Albright's exceptional contributions to the field. Affectionately known as "The Albright" the institute sponsors a broad range of scholarly research concerning ancient Eastern studies, including fellowships academic studies and participation in archaeological excavations. ↑ Robert I. Bradshaw, Archaeology and the Patriarchs. Retrieved October 28, 2008. ↑ G.E. Wright, quoted in UXL Newsmakers. Retrieved October 28, 2008. ↑ William Dever, "What Remains of the House that Albright Built?" The Biblical Archaeologist 56 (1) (Mar. 1993). Davis, Thomas W. Shifting Sands: the Rise and Fall of Biblical Archaeology. New York: Oxford University Press, 2004. ISBN 0195167104. Elliott, Mark. Biblical Interpretation Using Archeological Evidence, 1900-1930. Lewiston, NY: E. Mellen Press, 2002. ISBN 0-7734-7146-4. Feinman, Peter D. William Foxwell Albright and the Origins of Biblical Archaeology. Berrien Springs, MI: Andrews University Press, 2004. ISBN 1883925401. Finkelstein, Israel, Amihay Mazar, and Brian B. Schmidt. The Quest for the Historical Israel: Debating Archaeology and the History of Early Israel. Archaeology and biblical studies, no. 17. Atlanta, GA: Society of Biblical Literature, 2007. ISBN 9781589832770. Long, Burke O. Planting and Reaping Albright: Politics, Ideology, and Interpreting the Bible. University Park, PA: Pennsylvania State University Press, 1997. ISBN 0271015764. Running, Leona G., and David Noel Freedman. William Foxwell Albright: A Twentieth-Century Genius. Berrien Springs, MI: Andrews University Press, 1991. ISBN 0846700719. Van Beek, Gus W. The Scholarship of William Foxwell Albright: An Appraisal. Atlanta, GA: Scholars Press, 1989. ISBN 155540314X. History of "William F. Albright"
This page was last modified on 21 October 2016, at 14:35.